With football and the fall season—which is always tough for Native folks because of the U.S.’s insistence on honoring Columbus, the awful Pocahontas Halloween costumes, and the ever-present Thanksgiving mythology of the goodness of the pilgrims and the simple-mindedness of Indigenous people—fast approaching us, I must make a request publicly. I’ve struggled over this decision, knowing many of you might judge me and say “this type of thing just isn’t done” or “that’s not how things are done around here.” I also understand my statement will have both social and political consequences for me. The request: Think of the worst word any person could call you, whether regarding your racial, ethnic, or national heritage, your gender or sexuality, or your religion, or any other identity that you hold dear. Now, imagine hearing that word used daily all around you. Imagine seeing distorted, ugly images of that word everywhere you go. Imagine that you can’t turn on the TV, go shopping, watch movies, or even read a book without hearing or seeing what this terrible word implies because it’s that pervasive in the public discourse. Now imagine people telling you to “get over it” and that you’re being “too sensitive” when you protest its usage. 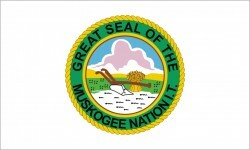 I’m a member of the Muscogee (Creek) Nation. I don’t say that to produce eye-rolling (just as I wouldn’t roll my eyes at your heritage). I want you to understand this is more than a social justice issue. It’s very, very personal. The 90 to 95% of the population of Indigenous folk who died after the arrival of the Europeans and the mere 1 percent of the current U.S. population that remains (which includes me) deserves better than to have racialized, pejorative terms spoken about or around them/me—even if others believe it’s still socially acceptable. Specifically, I’m referring to these terms: redskins, skins, chief(s), braves, red Indian, injun. More broadly, I’m speaking about terms used in ways that do disservice to different Native Nations: tipi, wigwam, squaw (which means whore or c**t to many tribes), tomahawk, etc. You get the drift. If you research a topic with these words, by all means, use them, but please contextualize the terms. Many of you may not know how offensive these particular words and others are to Indigenous people. Then again, some just don’t care. Whichever the case, this is an official notice that I consider the term “redskin(s)” a racist term. I’m not calling you a racist just because you use that term. But I am saying if you continue using it after knowing what it means, then you are choosing to consciously participate in the maintenance of white privilege and systemic racism. I’m not being overly sensitive (which is often the claim of the dominant and those who have internalized the narrative of the dominant), and it doesn’t matter if you know one or more “Native” people who don’t find it to be a bad term (that’s called internalized oppression or racism). Better yet, join us in our fight against racist mascots, name brands, products, entertainers using sacred headdresses as costumes, and other harmful stereotypical practices. Help us change the public discourse about Native peoples. Support us in our efforts to speak truth to power and bring about social change. We’ll support you, too! Here’s some text from Cheryl Head’s blog that conveys this issue concisely. Remember, the Supreme Court also ruled that there was such a thing as “separate but equal.” And less than 100 years ago, women could not vote. In closing, socially acceptable doesn’t mean ethical, decent, or right. Slavery, lynching, and the right to refuse service to people of color used to be socially acceptable. Social acceptance cannot be the benchmark for social justice. History bears out its incompetence. We’re a long way from social parity, but we can do our part by respecting each other. ~ Dwanna L. Robertson is a citizen of the Muscogee (Creek) Nation, a PhD candidate at the University of Massachusetts, Amherst, a writer for Indian Country Today Media Network, and a public sociologist. This post originally appeared here. This excellent essay from Indian Country Today is an ongoing reminder how powerful these issues are, how unaddressed they are and how we must be in constant reminder mode to dominant society that this is racism. I posted a copy to our university Forum before seeing it on Racism Review, and of course got a myriad of diverse responses, although I post so often few oppose or criticize me for it anymore, perhaps a lesson on why we need to keep up the pressure on this privileged narrative. Good work as an Indigenous Scholar-Activist Dwanna Robertson! Keep up the fight. Daniel Snyder, North Dakota, and a whole host of other pro team owners are being . . . racist. And intentionally so. Sporting teams change names all the time. They move markets all the time. Ask the Oklahoma City Thunder or the New Orleans Hornets. They could change the maskots if they wanted. That’s just ridiculous. Now. About Florida State. The Seminoles. The story is that the tribe voted and agree to allow the usage. Who voted? How many Seminoles are actually okay with it? I want to say their council voted on that one. I’m sure when you have such offensive logos like the Cleavland Indians’ and such offensive team names like the “Redskins” Removing FSU’s nickname and mascot must seem like something to put off until the future. Yeah. I just want to be sure. A great book about the true experience of Native Americans is Everything you Ever wanted to Know about Indians but were Afraid to Ask by Anton Treuer of the Ojibwe tribe in Minnesota. Anton was educated at Princeton and was approached by a very well educated professor who asked, “Where is your tomahawk?” He said after taking a friend to see “Dances With Wolves” she said, “Your people had such a beautiful culture”. The point being this movie was about the Lakota tribe, not the Ojibwe. That’s like telling someone from Scotland, “You Polish people really have a fascinating history.” Different tribes, different cultures. Anton puts to rest many myths and disentangles many confusions about Native Americans, as well as what role Columbus played in their genocide. He also tells us that today people still have so many misconceptions about Native Americans. He said it’s baffling that well educated people could be so confused about this particular group of Americans. He also made the point that European Americans seem to understand the African American experience better than they comprehend the Native American one. He also does not mind using the term Indians. He himself does not find it offensive. He said he thought if he used “Native Americans” in his title, people would wonder if he meant a particular tribe or group. At any rate, really great book. Highly recommend. I don’t mind the word “Indians” either. I do not prefer Native Americans for several reasons, but mostly, because most Indigenous groups were not “Americans” until the Curtis Act of 1898 for some of us, and then the IRA of 1934 for most. Plus, our race is institutionalized in the U.S. Constitution. It’s written into the U.S. legal code. “Indian” is a legal term. About your other point of different cultures, I certainly understand how it feels to be told “You don’t look like Geronimo.” I always laugh and say, “I certainly hope not. My people are Muscogee. My mother would have some explaining to do if I looked Chiricahua.” And then I get asked about what I call “All-Things-Indian.” I don’t mind, usually, if it lets us have the conversation. I had a question about a username I used on a political website. I was called a racist because I chose BigChiefRunningCommentary as my username. I thought it was a witty name and even cute. I wanted to change it after I first used it a few times but the site didn’t allow it. I saw the name in a comic book years ago and picked it because I’m lousy at picking usernames anyway. Is it that bad of a name? I’m not using it any more but I was very hurt when I was ganged up on and called a racist. I’ve been called a half-breed and Okie myself for being 1/2 Lebanese and 1/2 European mixture so I’ve had plenty of meanness thrown my way. My friend Dirk Charly is a real American and his older friend from the mountains was called Chief by everybody. We played basketball with Chief and he was the coolest guy and we knew why everybody called him Chief. Was I that wrong in calling myself BigChiefRunningCommentary?